19dpiui | Infertility, why me? Okay, so I have a lot to catch you guys up on. 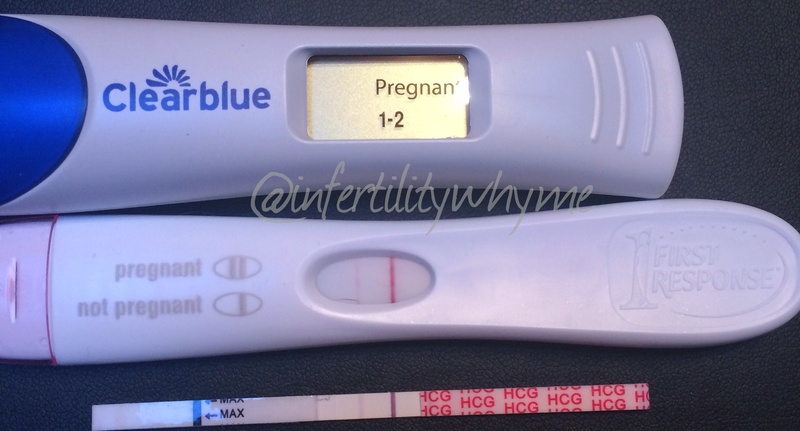 The last I blogged about was on Monday (15dpiui), I had my IUI #4 follow up (which was negative) I told my RE about our plans to take a break for the summer from fertility treatments. I stopped taking my progesterone suppositories (Saturday) and that was that. Well by Thursday I still hadn’t started my period, which was unusual because it always comes 2-3 days after I stop taking the progesterone. I decided to take a HPT that night, just an internet cheapie, and it was a faint positive.